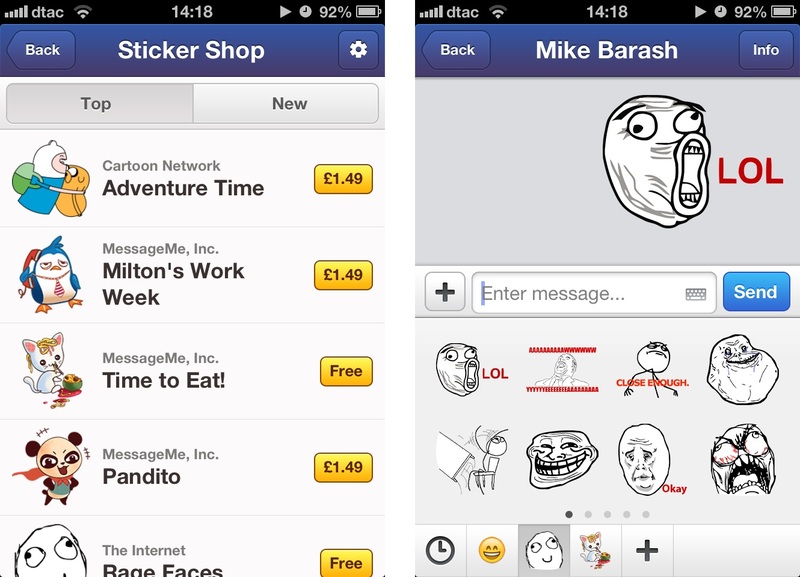 Fledgling mobile chap app MessageMe has made its move to generate revenue by introducing stickers to its service. The startup is the new kid on the mobile messaging block, having launched in March, going on to quickly raise $11.9 million in funding. The service, which lets users exchange text chat messages, share their location, videos, images and more, passed 5 million registered within its first 75 days of life, but for now the company is not providing an update on that number. Rich-emoticon-like stickers have become a fixture on a range of services, including Path and Facebook, thanks to initial successes in Asia. Point in case, Japan’s Line today announced that it made $27 million from sticker sales in Q2 2013 alone. The update to MessageMe brings both paid and free stickers to its iOS and Android apps, representing its first stab at monetizing the young service. While Line has been public with its sticker revenue, the bulk of which comes from Asia, less is known of the potential to sell packs in Western markets, like the US and Europe, where MessageMe’s core audience resides. Path did reveal that it made more money during the 24 hours after it launched stickers than it had done during any day previously, though it didn’t provide a specific figure. 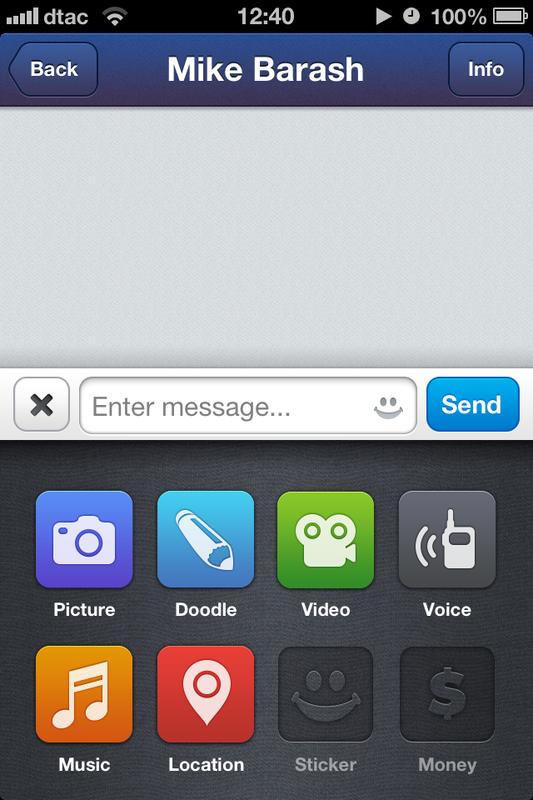 MessageMe’s plan to introduce stickers has always been transparent, to the point that there was an empty space within the chat app (shown below, left). The other space — which is now removed — was reserved for ‘money,’ a feature that ex-Facebook exec Alison Rosenthal, who joined the startup as COO last month, tells TNW we’ll hear more about in time. Despite a slick app and impressive early progress and momentum, MessageMe faces the challenge of arriving late to a market that is already fairly crowded. WhatsApp is king of the hill with 300 million monthly active users, pursued by a plethora of rivals in North America — including Tango (120 million users) and Kik (50 million users) — while a number of services with strong followings in Asia — such as WeChat (300 million users), Line (200 million users), Nimbuzz (150 million) and Kakao Talk (100 million users) — are expanding internationally. “I’m very bullish on our growth and the product itself. It’s really fast and intuitive, providing all of the tools that users need to communicate with friends in a natural way from their phone, ” she adds.